We’re going to make some serious coins on the transfer market with the sniping methods. Read the FIFA 17 Ultimate Team Sniping Players Guide below here. 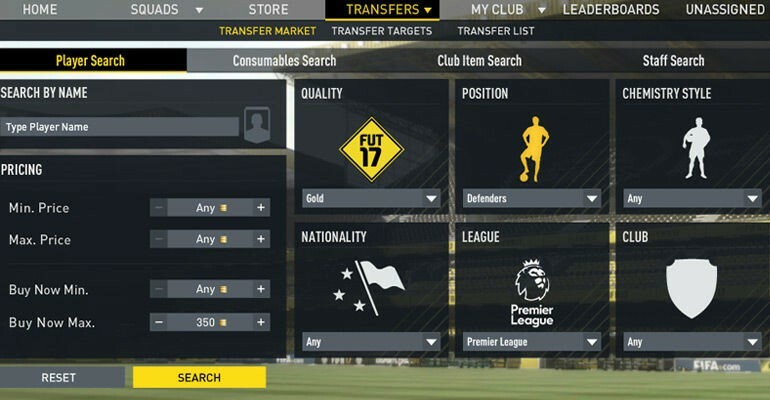 Always start your search for popular/high demand players with a quick search on the transfer market. Before you start trading/sniping players make sure you’ve built yourself a budget with a minimum of 5.000 / 10.000 coins. Do not buy any packs with the coins you’ve earned. This would be a waste of time. You’ve to get really lucky to make profit out of gold packs. It’s better to follow this guide and see who are the best players to snipe in FIFA FUT 17. We’re going to make some serious coins on the transfer market with the sniping methods. Always start your search for popular/high demand players with a quick search on the transfer market. The next method is sniping the players who are really popular on the market. The list below is up-to-date and new names will be added during the season. Type the name of the player you want to snipe. Check for the average buy now price on the market. After you’ve found out the average price go back to the search page. Select the buy now price a few thousand or a few hundred coins lower. Hit the search button. Keep repeating/hitting the search button and wait until a player pops up. Instantly buy the player. When no player pops up try to play with the min buy field. This makes the search task refresh after hitting the button. If you do not know where to begin. Players from the English Premier League or the Spanish La Liga are a very wise choice to start with. When you’re starting to snipe players this sniping method is a good one. It’s a good way to earn coins and get your coin balance above the 10.000 coins. 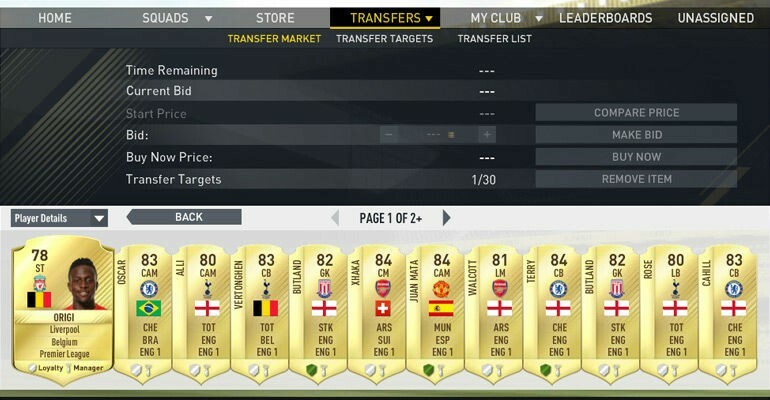 After you’ve reached the 10.000 coins minimum you’re able to start trading with more expensive players in Ultimate Team 17. The defender method is a good way to earn coins and get a steady coin balance. – Select the quality: Gold cards. – Set Buy Now: 400 or 450 (In the weekend the prices rise a little). Buy all Premier League or La Liga Defenders who show up in the search results. It doesn’t matter the cards are non-rare. When there are no players for sale, repeat your search again. After you’ve a list of players you’ve bought really cheap from the market. List all players on the market for the start price 50 or 100 coins higher you’ve bought the player for. Put the buy now price a few hundred coins higher. Some players are worth some more, do some research before selecting the buy now price! Tip: You need to mind the 5% ‘tax’. With every transfer you put up you’ve to pay the 5% tax. Calculate this into your buy now price. This method is almost the same as method one but works a little different. Check for the newest squad building challenges every week. For example the Marque Match-up section. Sometimes players are worth up to 2 times more than the normal price. This is an easy trading method in FUT 17 to get rid of useless players in your club. Also it’s a good method to snipe players on the transfer market. Search for the active leagues or countries and earn many coins!! If a player does well in real life, it’s definitely worth to buy them after a good performance. Especially in the big competitions the player value increase pretty fast. During the week is the best time to buy those players. The weekend is the best time to sell the players. The hype around the player make the prizes increase and you’re able to make profit for a few days. Also it’s possible the player will be selected for the Team of the Week. When sniping players it’s really important to act really fast. My experience tells me the XBOX and PS controllers are not the ideal way to snipe players. The old school PC is working the best for the tipsandtricksfor staff. 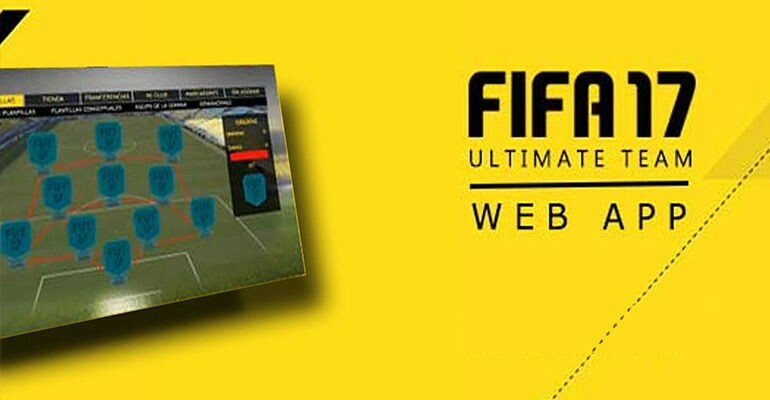 Use the FIFA FUT 17 Web App. It’s the ideal way to adjust transfer market filters. Act fast and snipe the best players! Transfered player cards are worth more in FUT 17. Especially players who moved to bigger leagues or clubs. After a few weeks/months the prices will go down a little. But it’s still worth to search for players with who moved to another club in the winter. When recieving packs (with the Draft of SBC) check for players who moved to new clubs. Those players will sell for more coins than the previous cards. Down here the full list of FIFA 17 Ultimate Team Transfered Player Cards (Rating 78 and up).